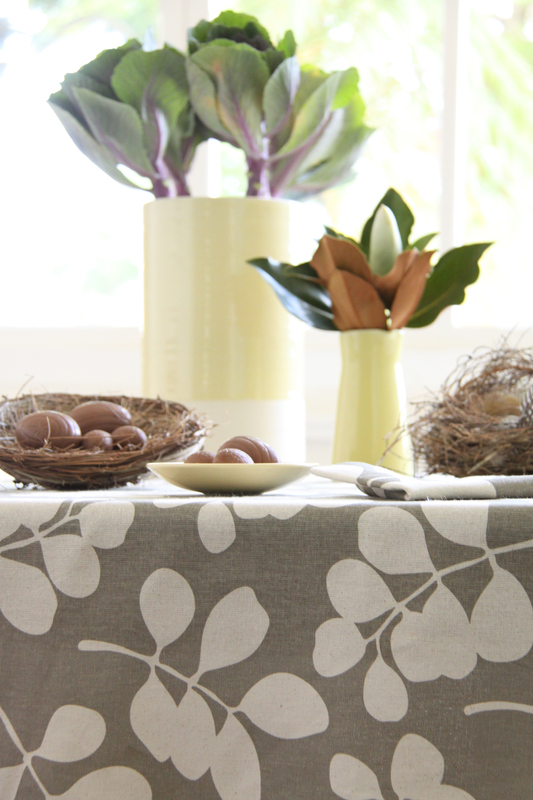 Easter is just around the corner so you better get cracking on your table setting. 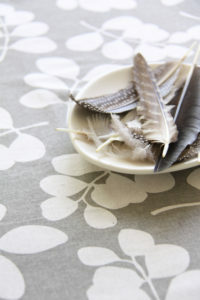 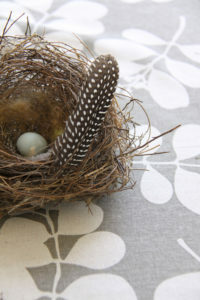 This year we are sticking with our fav neutral colours and textures and dressing the table with our 100% organic Succulent print in soft feather grey. We have used natural elements like nests and wicker baskets to hold our chocolate goodies. 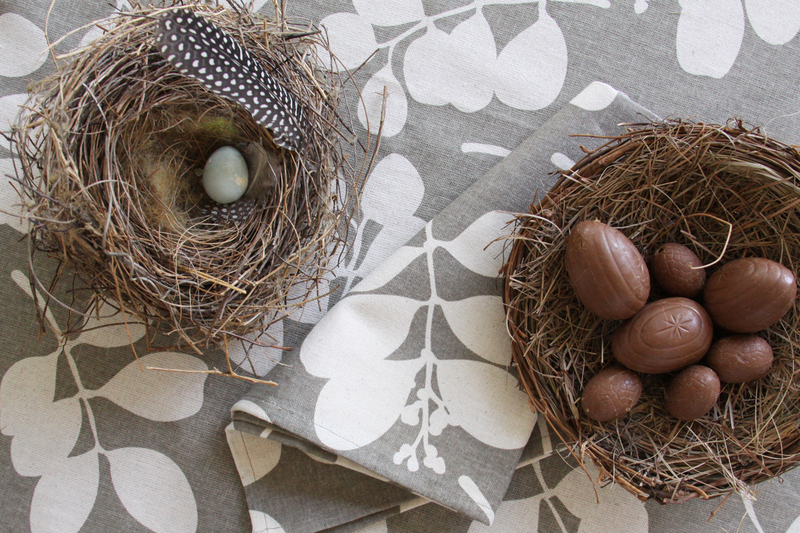 Why not create the perfect table for your friends and family this Easter will natural details like feathers, baskets, or leaves from the garden.